April Update - Hereafter FREE! Get your copy of the book that readers describe as "Bridget Jones's Diary meets Neverwhere" for FREE on Amazon! **This book really stands out from anything I have read recently." 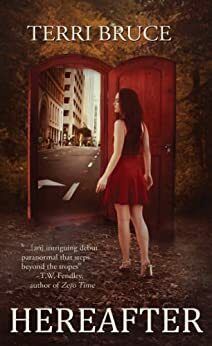 "Hereafter is full of snappy dialogue and humorous moments, yet it has a thoughtful side..."
"An amazing book...those who love the feisty heroine that we often read in paranormal and supernatural fantasy novels will love Irene and the flavor that Terri Bruce has given her." For one day only - tomorrow, Friday, April 14th - the kindle ebook of HEREAFTER (Afterlife #1) will be free on Amazon for everyone! If you've been wanting to snag a copy, now is your chance! Please share this information far and wide! Let's get Hereafter into as many hands as possible on Friday. I would love it if Hereafter could break into the top 100 Kindle book rankings on Amazon on Friday! I'll be tweeting and posting on FB about this throughout the day on Friday - please retweet and share copiously! Hereafter will remain free for Kindle Unlimited readers (and be $0.99 for all other kindle readers) through May 15th. The $0.99 sale ends on May 15th, however, when the ebook version will return to its regular price of $4.95. So be sure to get your copy before then! April 16th - 30th I'm taking part in the What On Earth Blog Hop, along with two dozen other blogs, to celebrate spring and the Earth. Each participating blog is giving away a prize worth at least $10. 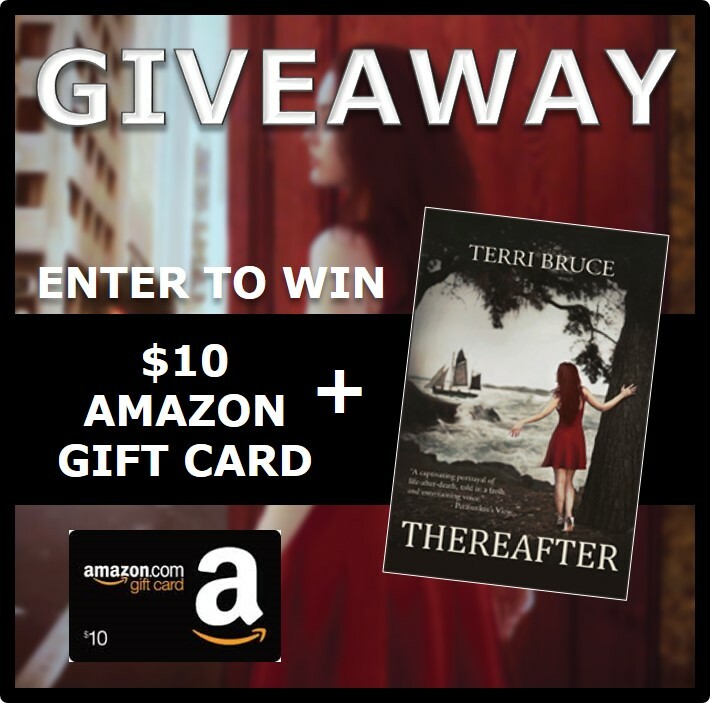 For my giveaway, I'm giving away a signed paperback copy of Thereafter (Afterlife #2) and a $10 Amazon Gift Card. Stop by my blog to check it out (and be sure to visit as many of the other participating blogs as you can for many other great prizes!). On Saturday, April 29th I'll be at the Somersworth NH Festival Craft Fair selling paperback copies of Hereafter, Thereafter, and Whereafter for $10 (details at: http://www.nhfestivals.org). If you're in the area, please stop by and say hello! If you haven’t yet read Thereafter (Afterlife #2) and would like to, let me know, and I’ll send you an ebook review copy (epub or mobi) as a special thanks to you as a newsletter subscriber. 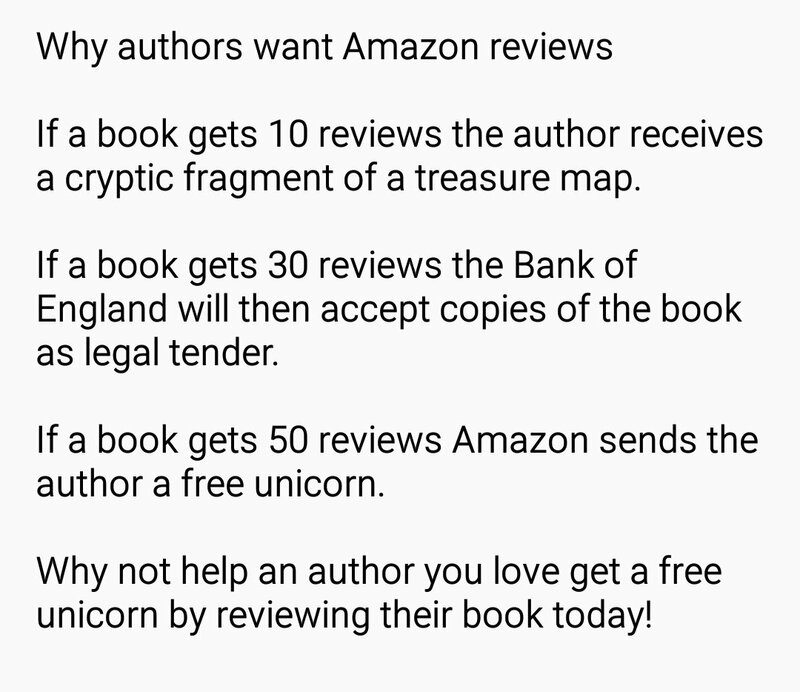 The catch is that you have to leave a review on Amazon, though! For anyone who is interested, I can send you a stack of postcards and/or bookmarks for all of my books to give out (to friends, acquaintances, your book club, your local library and bookstore, etc.). Just email me with your mailing address, and I’ll send that out to you.